The Mega by Tito ! 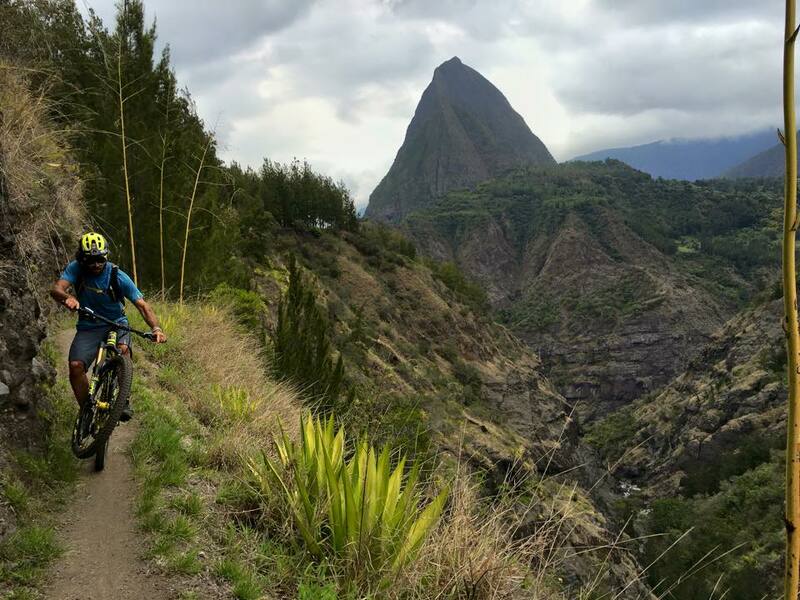 I survived my first Mega in la Reunion Island – what an adventure! I start to slalom trough the lava rocks, holes and people. But I give all I have and even if I crashed on another rider I manage to overtake more. In the forest the trail is climbing and dropping all the way, it’s sometimes engaged and slippery but I am having fun and I make my way. After overtaking a group I crashed in a rocky off camber zone, the group overtook me again and while I have to set my bended bar I loose more places. Whatever, I push hard and got back in the game quickly to slowly improve my ranking. We got into the woods, it is thigh and technical and I have to wait that they let me go but the fun is real and I see a few crashes. On the short road I push harder and hear that I’m now 25th. Another crash on a very fast dirt road finished to wake up me … Too bad! Back on the bike again, nothing broken expect my self esteem. The final part is going trough dusty dirt road and dry rocky trails. I manage more overtaking and cross the line 12th. Happy for the ride and the adventure! It is hard to figure how is Reunion island if have never been here as it is a very diverse place. The start is at 2200 meter high (6600 ft) and in 20 kilometers we cross all kind of terrain and landscape, the lunar style from the top with lava rocks, than the alpine style trails. Before the fields that look like Switzerland we cross a jungle were the trail is steep and rooty. The end is dry and fast, going trough the sugar cane fields, to finish near by the Indian ocean. It’s a unique experience to race this legendary mass start but also a chance to discover the island in the same time. Thanks UCC and Reunion island!